We offer a variety of spaces and facilities for events. You can find out more about them on the right and on the following pages. We also offer residential accommodation. Availabilty: You can book our facilities for use during the summer months of July and August, Christmas Holidays, Easter holidays and at selected weekends during term time. We are keen to help your event succeed. A QEL Event Manager will be allocated to personally assist you with your event, discussing your needs, from room hire right through to catering requirements. Arranging a large meeting, an exhibition or a musical performance? Queenswood has two separate halls available for hire. The Old Pool Hall is a multi-purpose venue, ideal for meetings and exhibitions with the option of seating for up to 400 people. 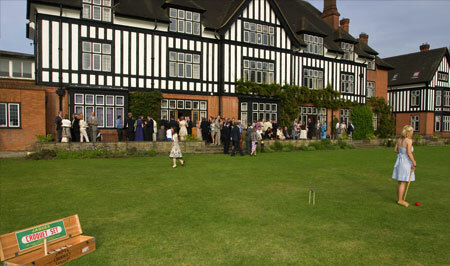 Queenswood is a popular centre for residential courses outside of term-time, such as language and music schools.